And it’s based on astrology. 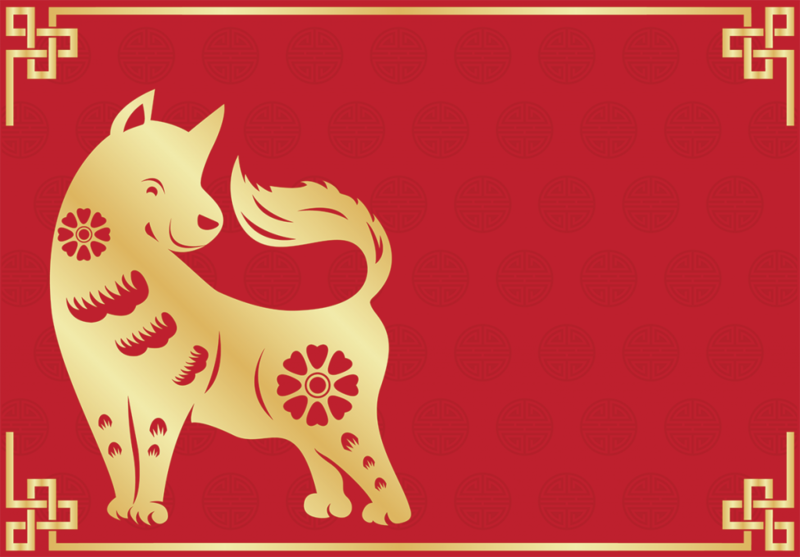 Chinese Astrology that is…. 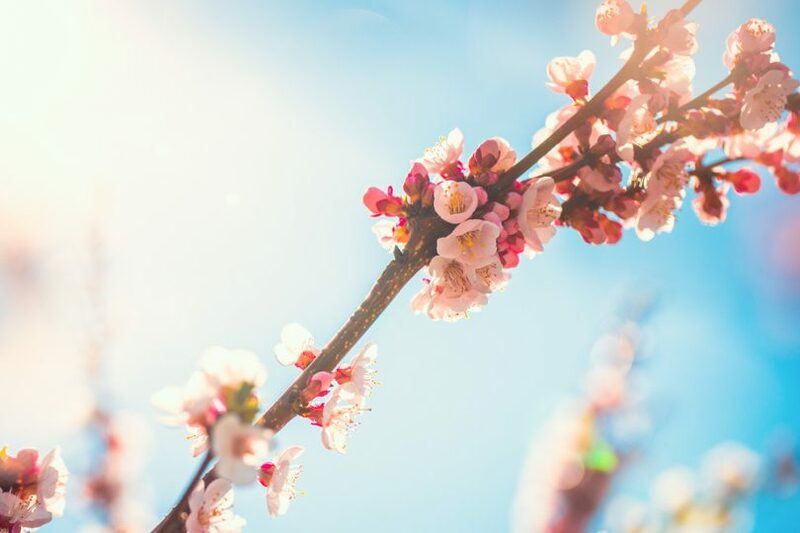 For millennia (this is year 4715), China has celebrated the coming of spring on the second New Moon after the Winter Solstice (what Western astrologers call the New Moon in Aquarius). It’s a time to gather with family and friends, say goodbye to the old and make room for the new. What you do during this New Moon sticks with you all year round — so choose your actions wisely! 2018 begins the Year of the Yang Earth Dog (sometimes also called the brown dog, or the mountain dog). Those who emulate the Dog will prosper this year. Dogs are territorial. They prefer the safety and security of home, over travel and adventure. It’s a good year for nesting and investing in the creature comforts of a well-kept, organized home. Dogs usually prefer saving money to cover future expenses; when they do spend money, they prefer practical, rather than luxury, items. Dogs are also pack animals. To the members of their chosen tribe, they are loyal, kind, honest and compassionate. They prefer the company of the pack rather than solitude. They love to help out and are more than willing to lend a shoulder to cry on. Bringing happiness to others is more important to them than money or success. But when dogs feel jealousy, or betrayal, look out – you may find yourself facing their fangs. Dogs understand slow and steady wins the race. So 2018 is a good time to make concrete lifestyle changes, such as starting a new health routine, or even a new business. Dogs are conservative, determined and practical. They aren’t fans of multitasking; rather they prefer to master something before moving on, so they tend to successfully finish what they start. Dog is also prone to depression and loneliness. If this happens, you may want to take some time to write out your habitual self-talk. When you can look at them objectively and rationally, you’ll find it’s easier to get back in the flow again. Chinese years are also assigned a polarity (Yin or Yang) and a Chinese element (Fire, Earth, Metal, Water or Wood.) 2018 is a Yang Earth year – suggesting we’ll want to take concrete, pragmatic steps to align our outer world with our inner needs. Yang is the active, outgoing polarity. It’s direct and eager to accomplish something in the world. Fire is energetic, creative, passionate and quixotic. It’s social and dramatic (even melodramatic). But it’s also easily distracted or angered. And prone to burn out, if not tempered with some common sense. Dog is an earthy sign already, so the most supportive colors for the year are green (representing the wood element) and blue (for the water element). What happens on the New Year portends events for the entire coming year. Here are a few traditional activities to cultivate good fortunate and make it last throughout the year. Clean and clear your home and office space several days BEFORE the New Moon. 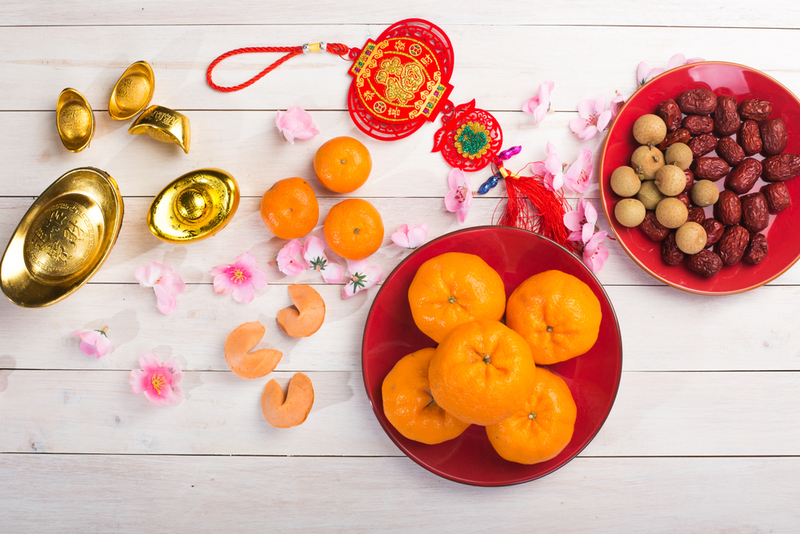 The Chinese New Year brings in a fresh wave of fortunate energy, and you don’t want clutter getting in the way. Share a meal with your family and friends. Mandarin oranges symbolize good fortune. Red pouches or envelopes filled with money or coins also herald a prosperous New Year. Wear red or red accessories to attract wealth and good fortune. Pay off your bills and debts from the past year. 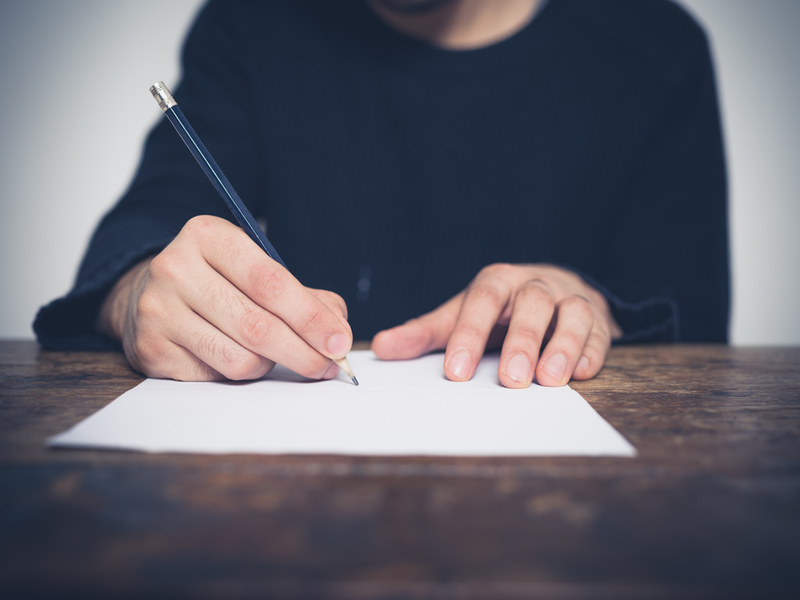 If you can’t pay them completely, pay an installment as a sign of your commitment to positive action. Don’t clean your house, wash your clothes or your hair. These things symbolically wash away your good fortune. Don’t borrow or lend money, unless you want to make it a habit. Don’t cry. Unless you want grief and sadness to follow you all year. Don’t wear white or black clothes. In Chinese astrology, each year is governed by one of the 12 signs of the Chinese zodiac. The Chinese zodiac is based on the 12-year cycle of Jupiter; Jupiter spends approximately one year in each of the 12 signs. The animals of the Chinese Zodiac are (in order): Rat, Ox, Tiger, Rabbit, Dragon, Snake, Horse, Goat, Monkey, Rooster, Dog, and Pig. Yin and Yang represent the energies of the Moon and the Sun respecively. 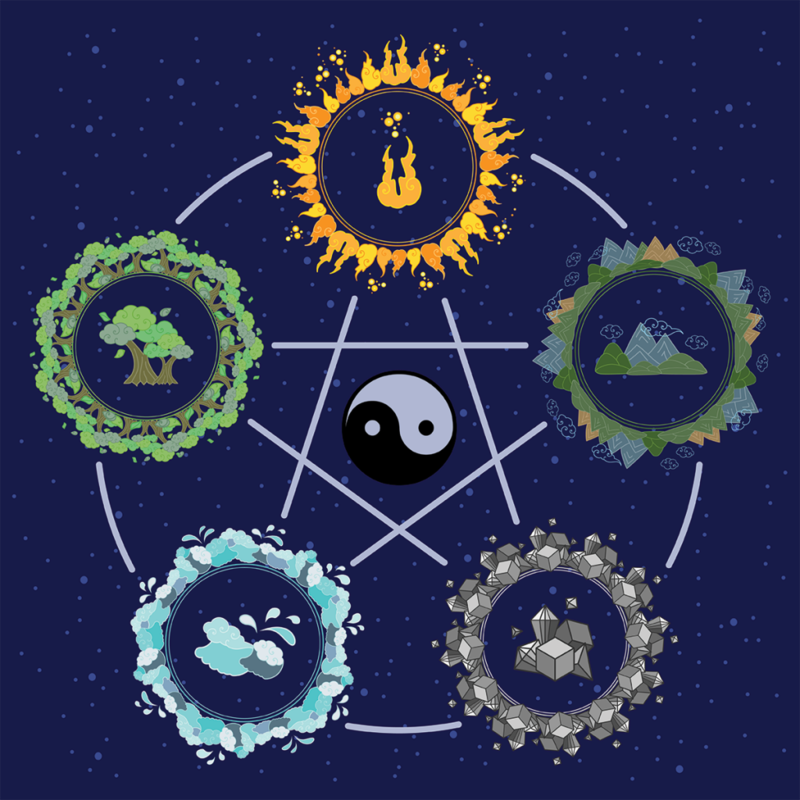 There are also five Elements (really more like elemental transformations) in Chinese astrology, known as Wu Xing. These are Fire, Earth, Metal, Water and Wood. Each of these elements is related to the five visible planets. Mars is known as Fire Star. Much like red Mars, it’s the nature of fire to move upward and outward. Plus fire is quick to flare out of control, becoming destructive and deadly. Saturn, aka Earth Star, is slow and steady. It brings our energy and focus down to pragmatic concerns. But, it can also feel trapped by the heaviness and sadness. Venus, or Metal Star, is all about attraction. It’s strong, yet flexible, and loves beauty and harmony. Mercury is the Water Star. It’s quick, changeable and introspective. Jupiter is called the Wood star. It’s confident, ambitious and enthusiastic about what the future may bring. 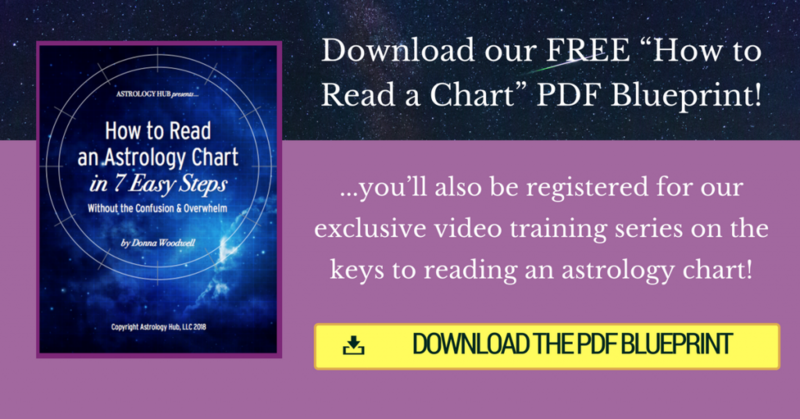 Want to Learn How to Read an Astrology Chart – in 7 easy steps? Download our FREE “How to Read a Chart” Guide today!